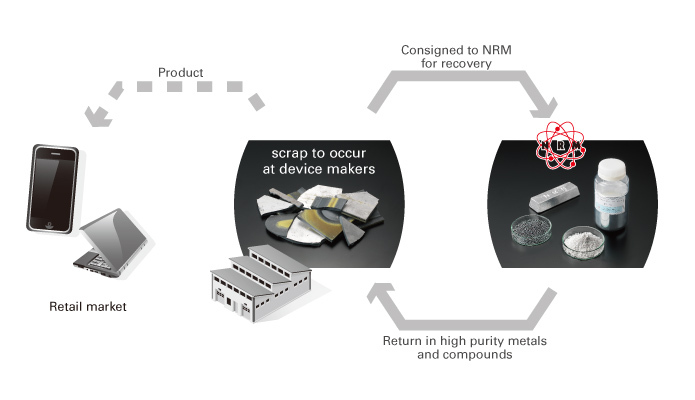 Products　recycle | Nippon Rare Metal, Inc.
NRM has initiated the recovery business of Selenium a few years after its foundation and later started with Indium and Gallium recovery from ITO and Ga contained scrap respectively. As the pioneer of recycling business, we have been constantly trusted by major target manufacturers and smelters in domestic and world wide market. 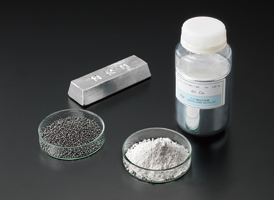 Based on the high purification technology obtained over the past decades, lately available scraps such as CIGS and IGZO scrap can be converted into high purity metals and oxides in accordance with each customer's demand. NRM contributes to minor metals preservation and its effective use, reduction of environmental impact and CO2 emission through recycling. Metal contained scrap buying is also offered. Please consult us for further details.